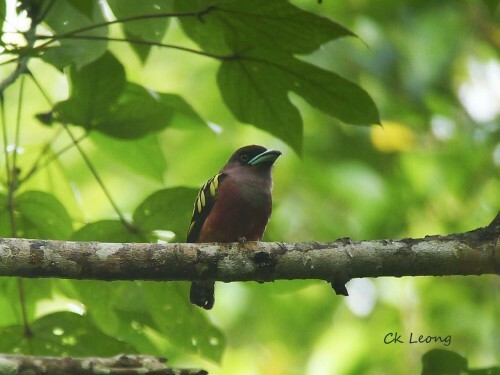 The Dusky Broadbill Corydon sumatranus is found in the lowland forest of South-east Asia. It prefers the upper canopy of the forest and moves around in small hunting parties. Such groups can be quite noisy. 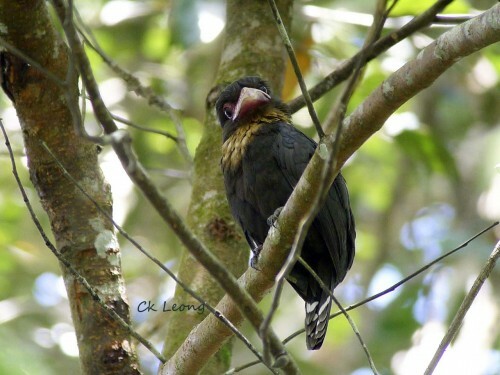 It is a large bird (26 to 28cm) with an equally large head! 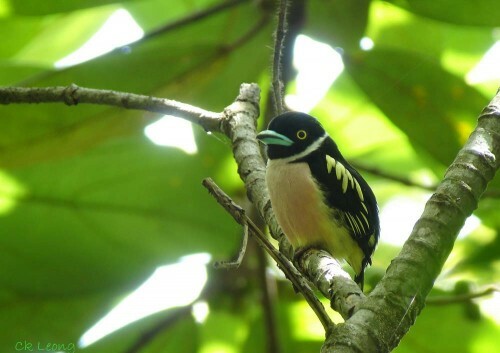 Due to the difficulty in getting to the Trus Madi mountain range where the Long-tailed Broadbill Psarisomus dalhousiae is common, this beautiful bird is locally considered to be quite a twitch. My friend Jason spotted this pair carrying nest material along the Tambunan road earlier this week. 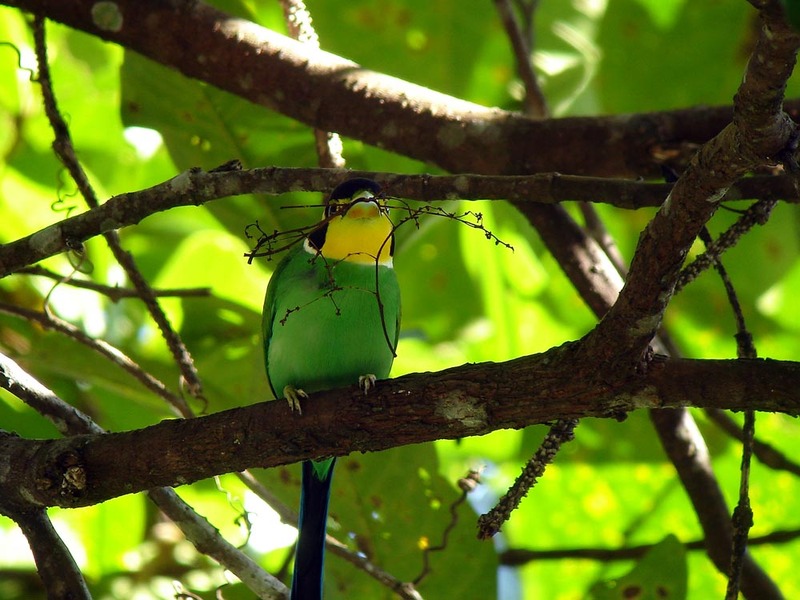 Many years ago in the same area I saw a party of 5 birds. My only other big encounter was in Cuc Phuong National Park near Hanoi in north Vietnam about 4 years ago when I saw a party of 30 to 40 moving through the forest in a fantastic and noisy spectacle. It is difficult to forget the brilliance of this bird.